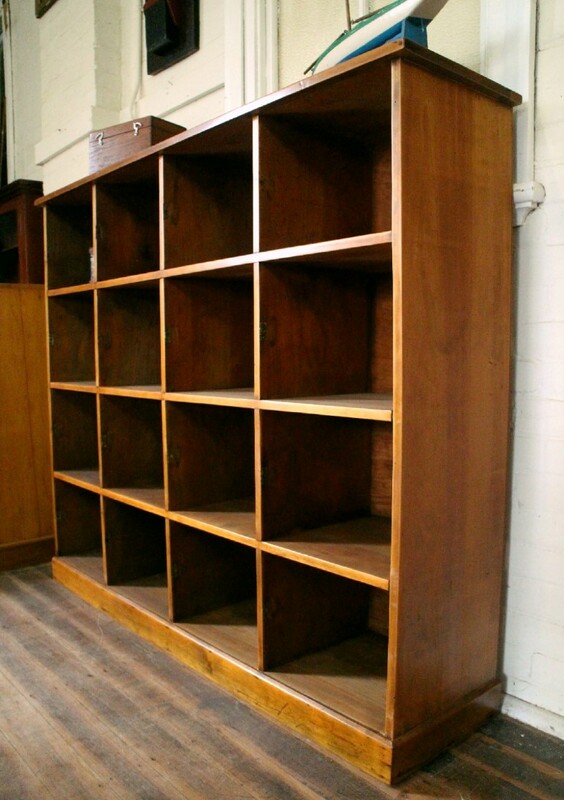 A Vintage Hoop Pine Pigeonhole Unit ex QLD Education Department , circa 1920. Strong Unit repolished in the workshop retaining all the marks of age . Each compartment measures 380mm wide x 310 mm high .